Thursday August 30, 2018 - A section of Judges and Magistrates have vowed to teach President Uhuru Kenyatta a lesson following the arrest of Deputy Chief Justice Plilomena Mwilu on Tuesday. 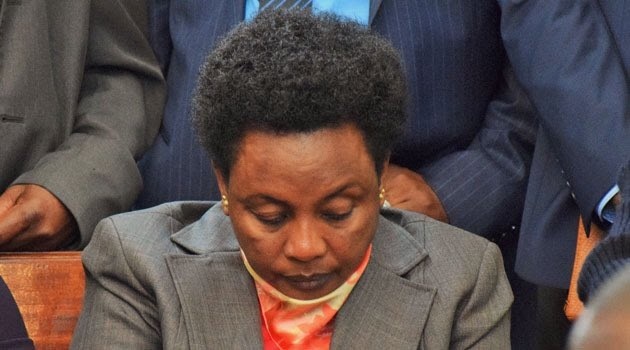 Mwilu, who is also the Deputy President of the Supreme Court, was arrested and taken to DCI headquarters along Kiambu Road in connection with corruption related offences. Following the arrest, Judges and Magistrates said they felt targeted and will fight to defend the independence of the Judiciary. “It means they can find anything and force us out of the office," one angry Judge said. They spoke as it emerged that Chief Justice David Maraga has called an urgent Judicial Service Commission meeting this morning to discuss the unfolding events that riveted the nation and caused uproar. JSC members said today's meeting will discuss the legality of the process of Justice Mwilu's arrest, what procedures should be followed in pursuing a case against a sitting Judge and the Commission's role in the process, among other things. The meeting was to begin at the Supreme Court at 7am. wee Judge kindly carry your cross you could have filed a case immediately after the election.